The Executive Council is composed of elected officers of the Association and performs the functions of the Association between meetings of the membership. These functions include assisting with the planning and execution of Association activities, allocating Association resources to those activities, authorizing and monitoring Association expenditures, determining Association policies and procedures, and discussing issues related to the work of the Association. The elected officers that sit on the Council are the President, Immediate Past President, President-Elect, Secretary, Treasurer, Treasurer-Elect (every other year), and Segmental Vice-Presidents for Public Four Year institutions, Private (Independent) institutions, Community Colleges, and Proprietary schools. The Executive Council generally meets quarterly between June 1 and the following May 31. The Annual Conference Committee plans the Annual Conference usually held in late January or early February. Planning begins one year before the conference with the President's announcement during the Annual Conference of the committee chair and/or co-chair. This committee is typically the largest, having 10 to 15 members. The Archives Committee keeps historical records of OASFAA including lists of past officers, committee chairs and members and award winners. 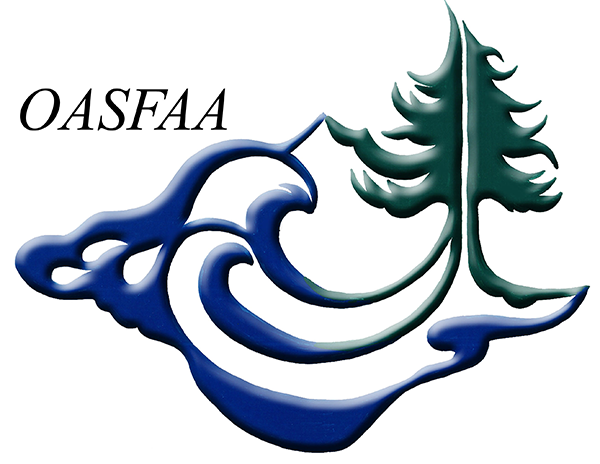 Significant memorabilia, including documents, photos and trinkets may be stored by the Archives Committee for purposes of documenting the history of OASFAA. Additionally, this committee helps keep track of the property owned by OASFAA. The Communications Committee produces a bi-annual publication for the benefit of OASFAA's members and colleagues, containing news and information of relevance to participants in the financial aid industry throughout Oregon. An Editorial Board, consisting of the President, Past-President, President-Elect and other volunteers, consults with the Newsletter Editor routinely and reviews each issue prior to publication. The Editor communicates with the membership regarding the Newsletter, encourages news submissions, tracks usage and placement of advertising, communicates with elected Officers and other Chairpersons regarding events and programs, invites advice and opinions from the Editorial Board, recruits volunteers, and reports to the EC regularly on the goals and achievements of the Communications Committee. The Corporate Partner Liaison represents the corporate partner members of OASFAA. The Corporate Partner Liaison is a non-voting member of Executive Council who voices the concerns and interests of the vendor members of OASFAA in helping to develop and revise Association policies and procedures. The Corporate Partner Liaison also disseminates information about Executive Council activities to the corporate partner members. This is not an elected position, selected instead by corporate partner members to represent them, and serving in the same time frame as other elected officials (from annual conference to annual conference). The Equity & Inclusion Committee is charged with incorporating equity and inclusion into all aspects of OASFAA. The committee is responsible for identifying and providing equity and inclusion resources to members in support of professional development, outreach, and to address issues in the field. The committee will work closely with the OASFAA Training, Conference, and Communications committees to ensure that equity, diversity, and inclusion related training and resources are incorporated into OASFAA. The President nominates the chair of the committee to the Executive Council for approval. Planning begins with the President's announcement during the Annual Conference of the committee chair and/or co-chair. The Fund Development Chair (or co-chairs) develops and maintains relationships with members of the lending community and other financial aid-related businesses active in Oregon to attract funding and encourage their participation in Association activities. The Fund Development Chair coordinates the receipt of funds according to the Fund Development pledge levels and fiscal calendar. The Fund Development Chair is also responsible for working with the Annual Conference Committee on the vendor area and table set-up. The Financial Aid 101/201 Committee plans the Financial Aid 101/201 training held annually or semi-annually if interest warrants, which is defined as having 10 or more people register. Planning begins with the President's announcement during the Annual Conference of the committee chair and/or co-chair. This committee serves as a resource for high school counselor training activities and provides training resources for other non-profit outreach activities. The Training Committee serves as a resource for standing OASFAA committees and chairs, identifying potential speakers, identifying and assessing training needs and developing ad-hoc training programs as needed. The Legislative committee reviews federal and state regulatory issues, develops recommendations concerning possible Association responses to those issues, and presents these recommendations to the Executive Council. The President nominates the chair of the committee to the Executive Council for approval. Planning begins with the President's announcement during the Annual Conference of the committee chair and/or co-chair. The chair nominates committee members, who are then approved by a vote of the Executive Council. The Membership Chair maintains and updates the database of Association members, and prepares and sends mailings as needed concerning membership issues. The Chair supports the Treasurer in collecting membership dues. The OSAC Liaison is both an employee of the Commission and a member of the Association who attends meetings of the Executive Council, participates in the discussion of Association plans and activities, informs the Executive Council of Commission activities, and facilitates joint OASFAA/OSAC participation in various activities. The OSAC Liaison is appointed by the Executive Director of the Commission. The Site Selection Committee has the responsibility to research sites for the annual conference across the state, visit the most likely candidates, and report back findings and recommendations to the Executive Council on a regular basis. Committee members will serve for at least a two year term, with members rotating out during different years so that there is continuity to the membership and goals. The chair of the committee is usually the past president. If asked the site selection committee could also research venues for summer drive in and OASFAA trainings. The Summer Drive-In Workshop Committee plans the Summer Drive-In Workshop, typically held in July or August. Planning begins with the President's announcement during the Annual Conference of the committee chair and/or co-chair. The chair or co-chairs select committee members, who are then approved by majority vote of the Executive Council. The Technology Committee is responsible for working with other committee chairs and Executive Council members to make sure the website information is current and accurate and for removing outdated/incorrect information. They are also responsible for communicating updates from other committees to the web servicer to update information in a timely manner or provide authorization for other OASFAA committee members to work with the web service liaison. The Volunteer Coordinator encourages membership involvement by communicating volunteer opportunities to the membership and coordinating the placement of volunteers. The Volunteer Coordinator works closely with the President and Committee Chairs to anticipate volunteer needs for committees and events and match interested volunteers with a position that fits their skills and abilities. This position also participates in the Newcomers' session at the annual conference. Mark your calendars for the 2020 OASFAA Conference! If you have any questions, please contact Conference Co-Chair Shauna Harper.